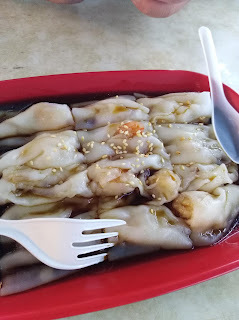 It has been a while since we dropped by this food court but one early Sunday morning, we went there as we needed to get something from the hypermarket across the road. 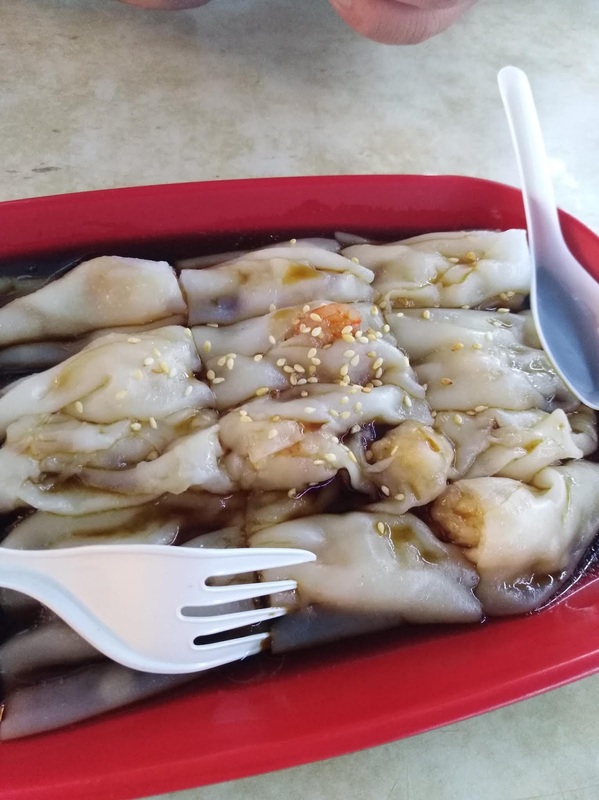 We had this nice prawn chee cheong fun as a starter. The cha kueh stall was next to the ccf stall and smelling the nice smell out from the stall, we decided to try a plate of cha kueh. It was sweet version but thankfully it wasn't too sweet to my liking. 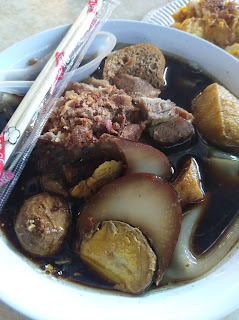 I had this lovely bowl of warm, herbal kueh chap as well that morning. Something to warm me up. Carrot cake? 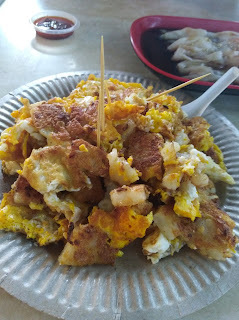 Chai thow kueh...or koay kak, they call it in West Malaysia. I like that, my girl too. Dunno of any place selling that here, no need to say good or not good. Wow! I like all the food here but will just eat a bit of each. Yums! Everything you ordered, I would enjoy it as well! The cha kueh looks good. Haven't eaten cha kuah for a long time.